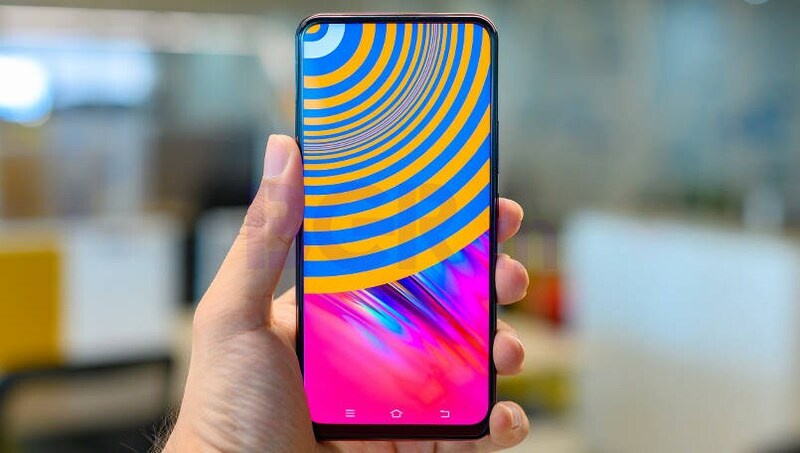 Can the Vivo V15 manage to stand tall while stepping out of the shadow of the Vivo V15 Pro? Let’s find out in our detailed review. It only comes in one variant with 6GB RAM and 64GB internal storage. Vivo has priced the V15 at Rs Rs 23,990 and it is already available for purchase. 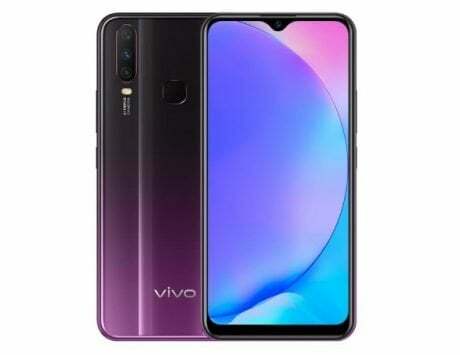 Vivo recently launched the Vivo V15 in India, which as the name suggests, is a toned down variant of the Vivo V15 Pro. 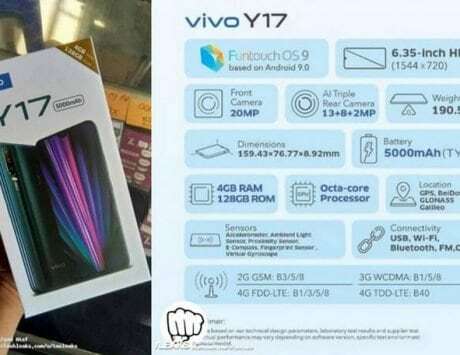 Vivo has priced the device at Rs 23,990, and it is already available for purchase both on major online retails as well as offline stores. The direct availability of the device in the market is significant especially for buyers who don’t want to make the effort to buy a device during frustrating flash sales. The device is available in three colors including the Glamour Red, Frozen Black, and Royal Blue. I have been using Vivo V15 for about two weeks as my only smartphone pushing it to the limits. So does it manage to mount a challenge to smartphones from Oppo, Xiaomi, and Nokia? Does it manage to stand tall while stepping out of the shadow the V15 Pro? Let’s find out in my detailed review for the Vivo V15. 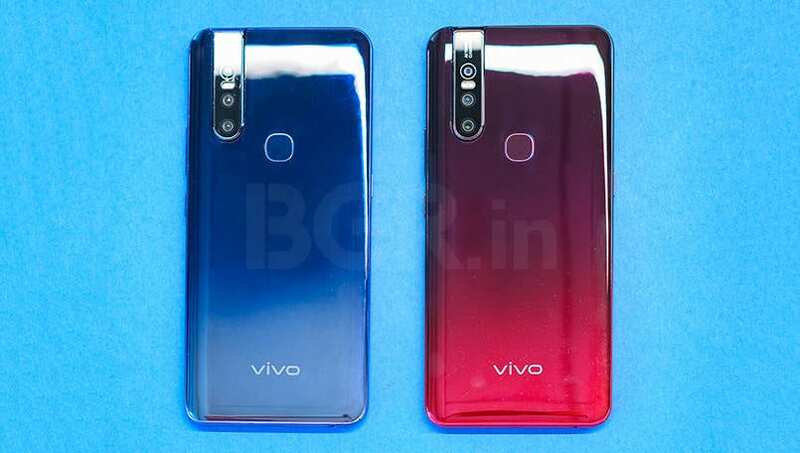 The Vivo V15 comes with a similar, somewhat complicated but cool looking design that we first saw on the V15 Pro. 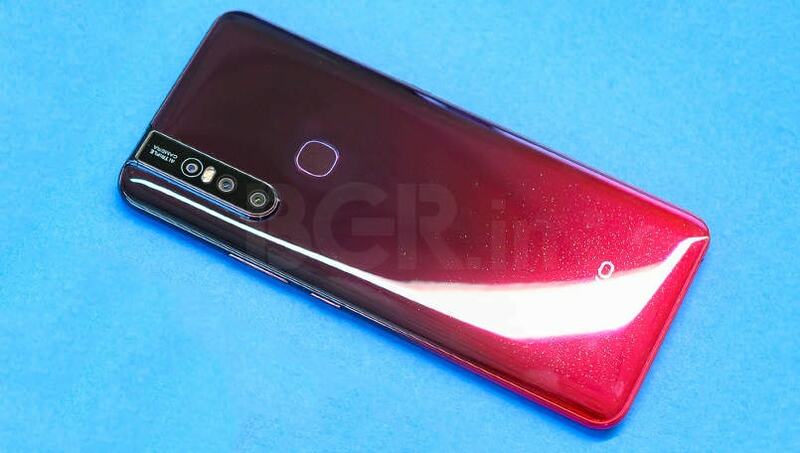 There are not many changes, except the presence of the physical fingerprint scanner at the back, somewhat simpler finish on the back panel, and slightly bigger size. Talking about how the design matters and how it felt while using, the larger profile of the device gave V15 a sturdy feeling with no flex in any portion of the device minus the motorized camera. It felt good in hand even though a bit heavier than other devices in the market. However, the large profile is likely to be a problem for users with small hands as it makes one hand operation quite difficult. You will need both hands when using the device. The included smartphone case was a nice touch considering it is designed for the notch giving the device more protection. 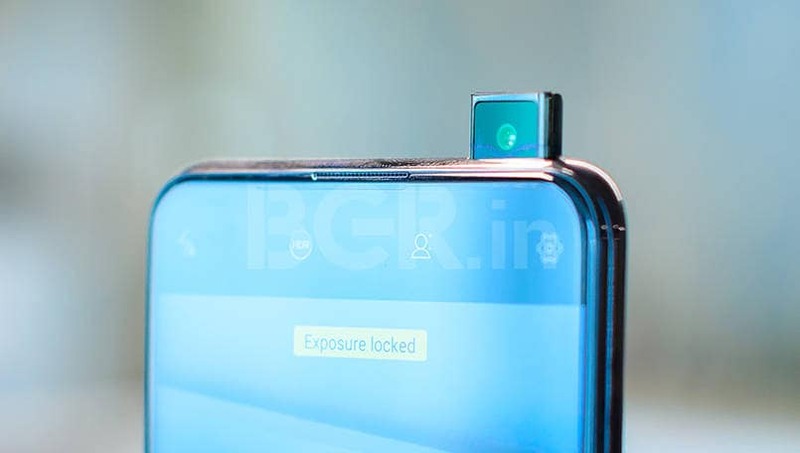 This is also essential considering that it may take some time for case makers to come with good quality cases for devices with motorized, slide-out cameras. Let’s now move to the meat of the entire discussion, the performance of the device. The V15 is able to handle all the day-to-day tasks without any issue. It was able to handle my daily medium to heavy usage including multitasking and working on 7-8 apps, light gaming, music streaming, and video streaming without any issue. However, the Helio P70 SoC falls somewhat short in heavy gaming including PUBG Mobile. By this, I mean that the Vivo V15 is not able to give peak performance to users in terms of graphics. While launching PUBG Mobile for the first time, the device set the graphics level for the game at medium but I could see the game lagging a bit on default settings. Dropping the game down to “Smooth” did improve the performance of the game, but still not ideal for the worth of the money. The device heats up during long gaming sessions but manages to maintain the level of performance that it offers which is good. Though, taking stock of things, it is unable to match up to the competition in terms of performance. 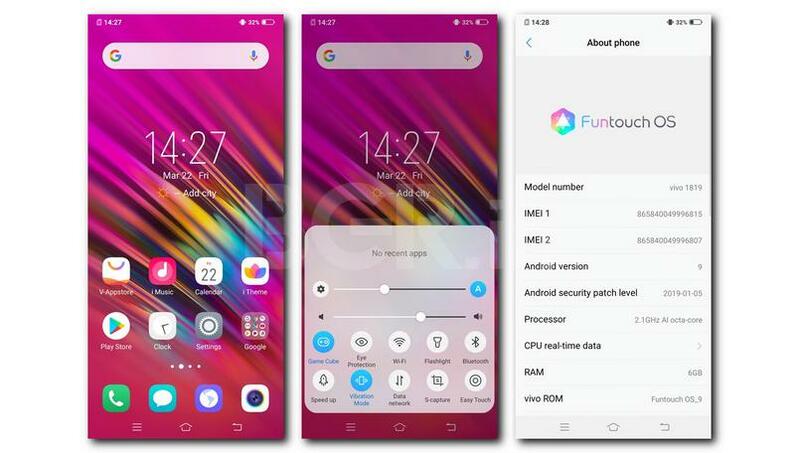 FunTouch 9 is loaded with features. However, I wish that the company would reduce the iOS influence in terms of UI elements and the overall look. Moving to a more uniform Android-like interface will make it easier both for the user as well as the company. Out of the box, the device came with Android 9 Pie with January 2019 Android Security patch. Similar to V15 Pro, the V15 too comes with important features like Game Cube, Do not disturb mode, Motorbike Mode, AI-powered assistive features with the integration of “Jovi” in camera and the button. It also comes with iOS-like “Easy Touch” button that makes navigation in the UI much easier. 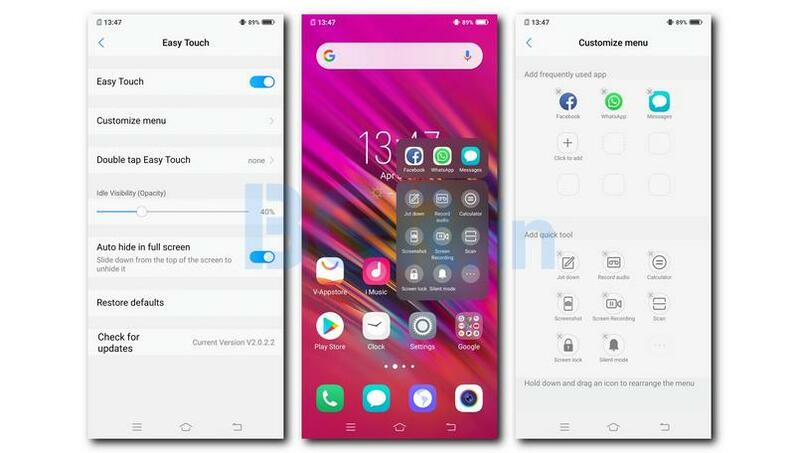 Though, we would love if Vivo could improve and make the design of the software more independent while removing the bloatware. The V15 does a good job in the camera department under most conditions. 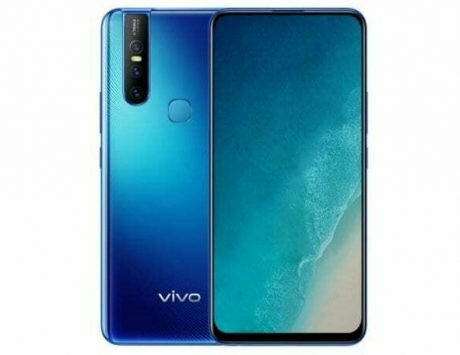 Vivo has added a triple-camera setup at the back consisting of a primary camera sensor with 24-megapixel resolution and an f/1.8 aperture, a secondary 8-megapixel camera with an ultra-wide lens, and a third 5-megapixel sensor for depth mapping. 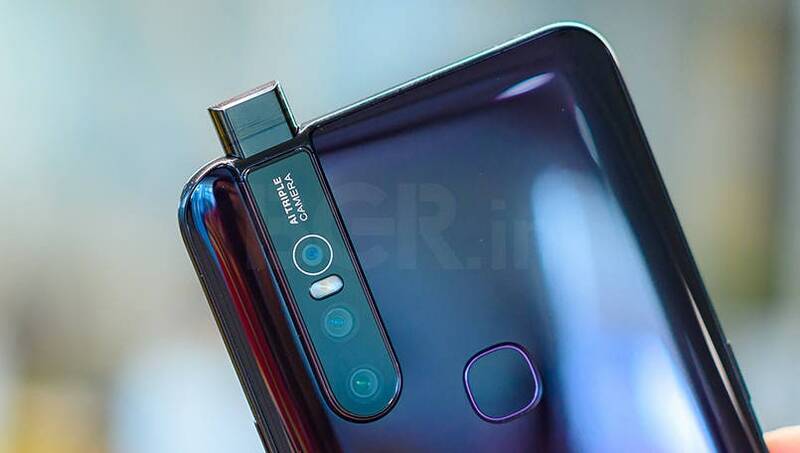 The front comes with a motorized pop-up camera with a 32-megapixel sensor with an f/2.0 aperture. Now to talk about the performance, the primary 24-megapixel camera does a good job in capturing images with details. Though the camera needs to improve its performance in capturing the colors in certain situations. For instance, the device may look washed out in harsh lighting conditions. The auto HDR feature also results in occasional halo-like effect around objects but all that can be improved a software update. The wide angle lens is impressive and does not result in as much distortion towards the edges as we saw in the V15 Pro. Though, we still get that classic ultra-wide look along with the software option to fix it. Moving to low-lighting conditions, the company needs to improve as most shots were filled with grain and the over-all image looked like a muddy mess with no clear details. Last but definitely not least, the selfie camera is the best that money can buy right now. 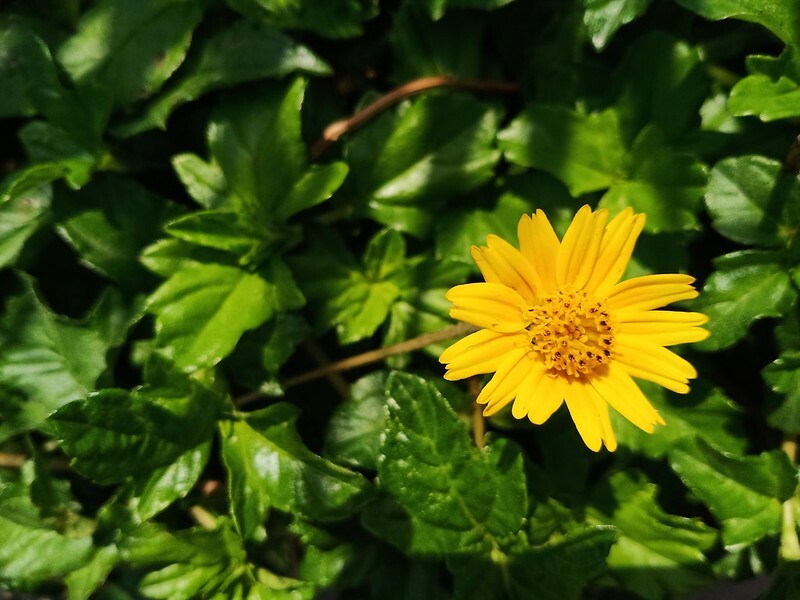 The 32-megapixel camera sensor does a great job in capturing good clear images. All this is enhanced by a number of software features including auto HDR, studio lighting effect, live photo, AR stickers, “AI Beauty” mode, “Pano” mode, “Pro” mode, and “Doc” mode for document scanning. It is worth noting that “Pro” mode and “Doc” mode are not available for the front camera. Battery life with the 4,000mAh battery is another area where the V15 Pro excels. The device can easily last about a day as it was able to withstand my heavy usage for about 10 hours. This included 1.5-2 hours of gaming, about 2-2.5 hours of music streaming, 30-45 minutes of YouTube, 10-15 photos, multiple apps like Instagram, Facebook, constant WhatsApp messages and three email accounts on sync. 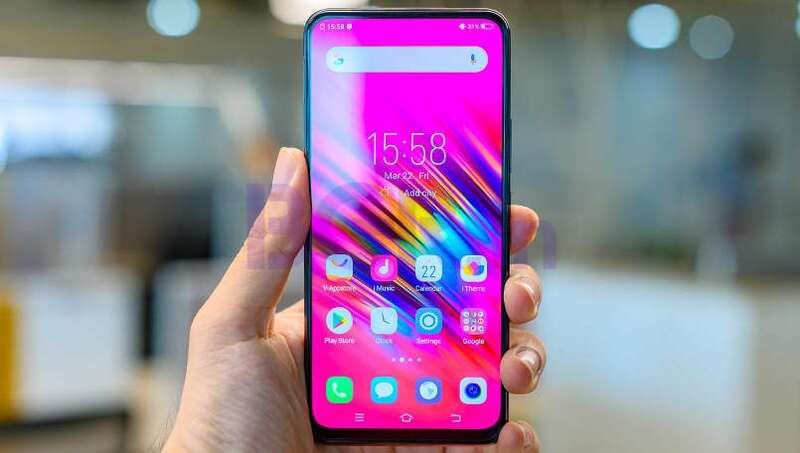 Should you buy the Vivo V15? 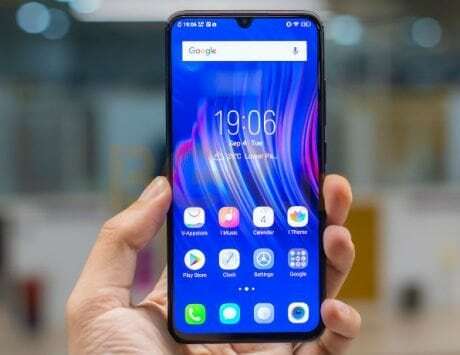 Vivo V15 is a good package, but it does come with its own weaknesses that Vivo can work on to improve. Talking about the strengths of the device, the device offers an excellent front camera with classy design and impressive battery backup. If you want a stylish device that can capture the best selfies in the market then this is the device to choose. However among the issues, the primary one is the performance. 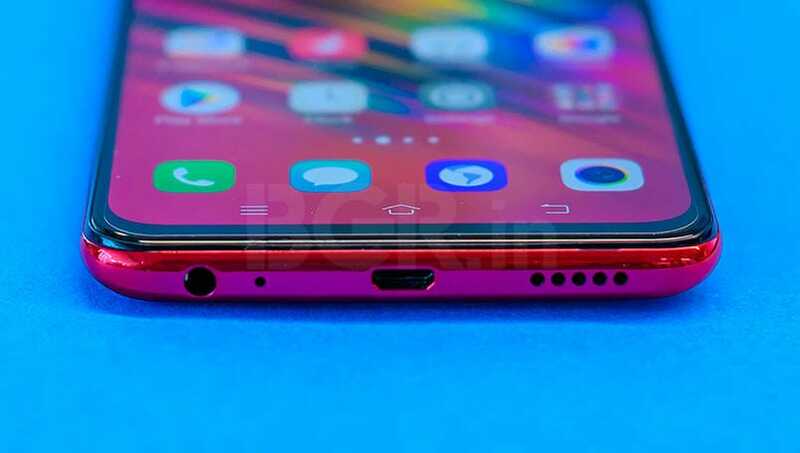 This is particularly highlighted when compared with rivals like the Xiaomi Redmi Note 7 Pro, Nokia 7.1, and the Nokia 8.1 to name a few. If performance is your need and you can make do with decent selfies and good-enough design then you can go for Redmi Note 7 Pro, or Nokia 7.1 while saving some money. 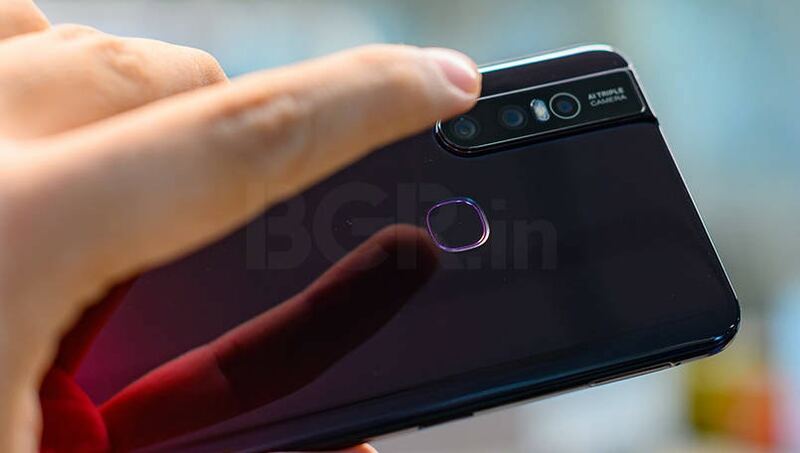 However, if you can stretch your budget then look for Nokia 8.1.